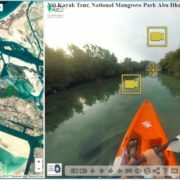 360 Virtual Educational Tour of the Mangrove National Park Now Online! We are very pleased to share with you the newly released online 360 Virtual Educational Tour of a special area within Abu Dhabi. Found within the city of Abu Dhabi, the Mangrove National Park is a dense, luxuriant concentration of mangrove trees, protected by government order. This is a real haven for nature lovers, outdoor enthusiasts and bird lovers, or simply people who want to spend some time away from the daily grind in harmony with nature. Check out our tour here! https://agedi.org/wp-content/uploads/2017/09/Capture-1.jpg 712 910 Jane Glavan https://agedi.org/wp-content/uploads/2014/12/AGEDI-Logo86.png Jane Glavan2017-09-27 11:33:422017-09-27 11:34:18360 Virtual Educational Tour of the Mangrove National Park Now Online! 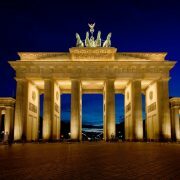 Berlin, Germany – The International Union for Conservation of Nature (IUCN) and GRID – Arendal hosted a workshop on blue carbon pathways to sustainable development on 25-27 July 2016 in Berlin. The main objectives of the joint meeting of the UNEP/GEF Blue Forests Project Advisory Panels on Policy and Ecosystem Services included identifying priority policy options for each of the Small Scale Interventions (SSIs), of which the Abu Dhabi Global Environmental Data Initiative (AGEDI) is one of the representatives, towards sustainable development of blue forests as well as identifying technical support to be provided by the Advisory Panels on Policy and Ecosystem Services over the remaining course of the project. These advisory panels give recommendations to the SSIs on blue carbon science, ecosystem services and policy to support the effective implementation of the SSIs activities. Specifically on climate and marine and costal management, AGEDI helped facilitate the sharing of experiences, success and challenges of the SSIs to find ways of overcoming them as well as identify new opportunities for intervention. Finally the participants, who included world renowned experts from international organisations, Non-Governmental Organisations (NGOs), governments, academia, the private sector and research organisations, drafted a National Policy Assessment Framework, to ensure uptake and up scaling in other countries. Abu Dhabi, UAE – The Abu Dhabi Global Environmental Data Initiative (AGEDI) hosted a 3 hour seminar on 26 May to introduce and discuss the modelling tools used in the Local, National, Regional Climate Change Program’s (LNRCCP) Regional and National Water-Energy Nexus Projects. The seminar was conducted by Dr. David Yates, who gave a high-level presentation on the uses of the Water Evaluation and Planning (WEAP) and the Long range Energy Alternatives Planning (LEAP) systems. Attendees of the seminar included representatives from the federal and local government, non-governmental organisations, academia and research centers as well as the private sector. Abu Dhabi, UAE – The Abu Dhabi Global Environmental Data Initiative (AGEDI), in partnership with the UAE Ministry of Climate Change and Environment (MOCCAE), held a coastal vulnerability assessment workshop from 9 to 12 May 2016 to introduce stakeholders to the “Integrated Valuation of Ecosystem Service and Trade-offs” (InVEST) tool being used in the study. Preliminary results were presented for feedback to the participants, who consisted of representatives from the Ministry, local government and municipalities, academia, private sector and international organisations. Dubai, UAE – The Regional Organization for the Protection of the Marine Environment (ROPME), together with the UAE Ministry of Climate Change and Environment (MOCCAE) and the United Nations Environment Programme – Regional Office in West Asia (UNEP-ROWA) organised a four-day workshop in Dubai to work towards the development of a regional Ecosystem Based Management (EBM) Strategy in the ROPME Sea Area. AGEDI gave an insightful presentation about bridging the data gap to support ecosystems services. The workshop welcomed country representatives from across the region, as well as academic institutions and Non-Governmental Organisations (NGOs). During the workshop, a set of recommendations were adopted to facilitate the development of the EBM Strategy; these include the establishment of a working group to develop the strategy, the need to recognise the current level of understanding of the marine and coastal ecosystems in the ROPME Sea Area as a key part of the strategy as well as the utilisation of an inventory of policies, legislation, organisations, projects and initiatives at the national and regional level. As part of the United Nations Environment Programme’s World Conservation Monitoring Centre’s (UNEP-WCMC) efforts to achieve the Aichi Biodiversity Targets, recent revisions have taken place on the existing system of terrestrial ecoregions of the world. To capture a more relevant and updated outlook on the ecoregions of the Arabian Peninsula, UNEP-WCMC collaborated with AGEDI to incorporate the latest Geographical Information Systems (GIS) data on hand. As a result, AGEDI’s Local, National and Regional Biodiversity Rapid Assessment data has been set as a standard tool for the region to monitor the progress towards achieving the Aichi Targets. Abu Dhabi, UAE – The Abu Dhabi Global Environmental Data Initiative (AGEDI), supported by the Environment Agency – Abu Dhabi (EAD), today released the findings of its Ecosystem Services Assessment as part of Phase II of its Blue Carbon Project. The assessment explored how much stakeholders would be willing to accept as compensation for inability to access coastal waterways that provide amenity services, such as tourism, recreation or fishing, for an extended period of time. The lack of access was presented as a result Harmful Algal Blooms (HABs – also known as red tides) as a proxy, though disruption of amenity service can result from a variety of other causes. The assessment also studied willingness to pay for the sites’ preservation. Dubai, UAE – AGEDI has joined forces with WeatherTech GCC as a Strategic Partner of the 2015 event – the first of its kind in the Gulf Cooperation Council (GCC) region. WeatherTech GCC will gather international experts, GCC, federal and national meteorology and environment organisations with representatives from the aviation, oil & gas, marine and media industries to discuss next generation technologies to revolutionise the collection, analysis and distribution of weather forecasting data in the GCC. For more information on the event, visit weathertechgcc.com. Capacity-building workshops on ecosystem conservation and restoration, titled “Healthy and Productive Ecosystems,” were held to support achievement of the Aichi Biodiversity Targets.